So, let’s say you want to find out when a band is playing a concert near you. You could check band websites constantly, do some Google searches, or you can relax and let Gigbeat (a new Android app) do the work for you. 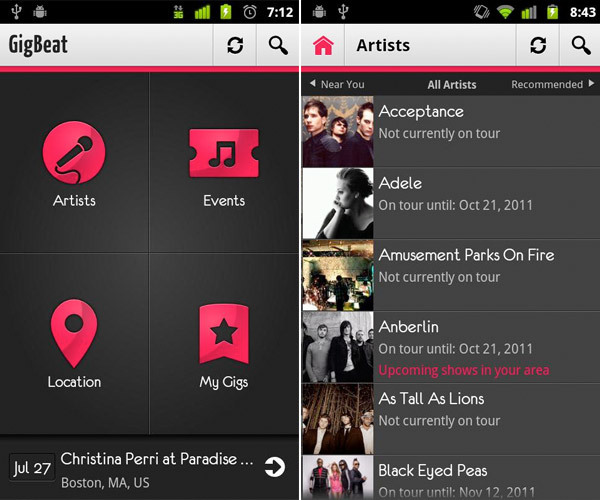 Gigbeat searches the music library on your Android handset, Songkick and Last.fm to determine your musical taste. Then it will search for concerts or events in that spectrum of music. 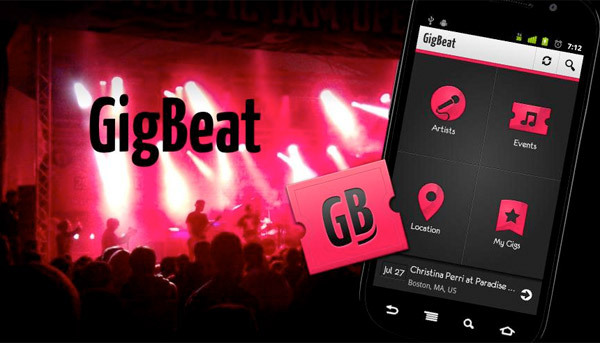 If a new event shows up, Gigbeat will notify you. Then all you need to do is buy tickets. This should be a very handy tool for the music lover and concert attendee. The app is free and can be found in the Android Market. We aren’t sure if other platforms will get this yet.